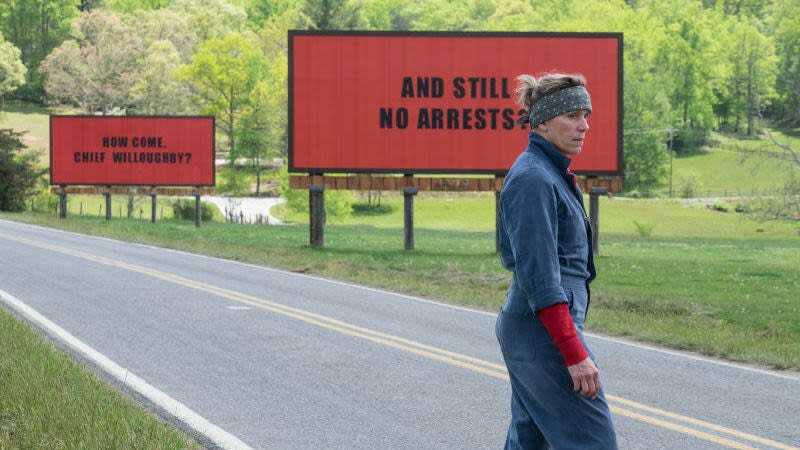 Regardless of where you land on its artistic merits, it’s hard to deny that the central image of Martin McDonagh’s Oscar-contender Three Billboards Outside Ebbing, Missouri—the three bright, red, accusatory billboards that lend the film its name—is an affecting one. Earlier this week, the signs’ impact was co-opted in London, to draw attention to a real-world fire that killed 71 people in a public housing block last year; now, it’s being used in America, to highlight the country’s latest deadly bout with gun violence. Rubio has come under heavy criticism for his apparent unwillingness to put much (or any) of the blame for the shooting at the feet of the ready availability of the assault rifles that were used to commit it. We’re not sure a movie-themed public shaming is going to budge him on that particular (and very lucrative) topic, but if it helps people process what happened by putting themselves in Frances McDormand’s vengeful shoes, more power to them.